Lakewood, Colorado — By three years of age, most dogs and cats have some level of periodontal disease. Not always apparent to pet owners, periodontal disease can cause oral pain, infection, inflammation, and other health problems, decreasing the quality of life for these pets. After a thorough and proper dental procedure, many pet owners report the emergence of a “whole new pet” — one who is happier, healthier, and more active. 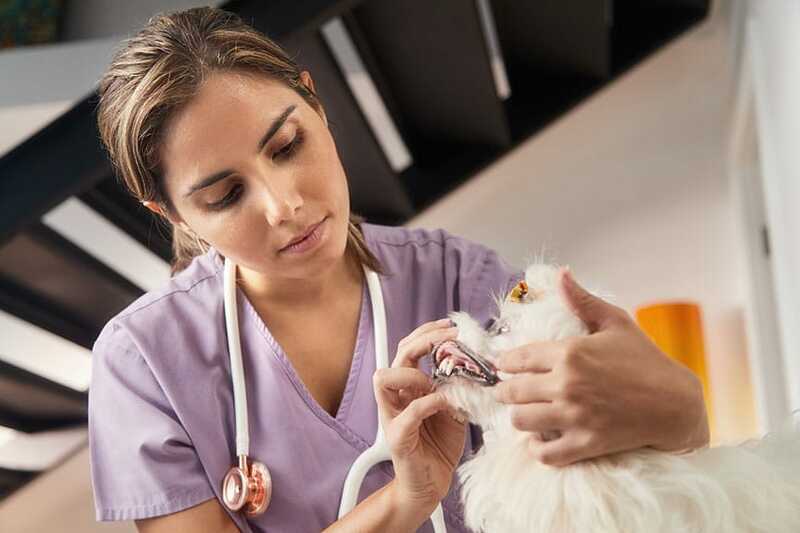 To help veterinary practitioners navigate the complex and changing world of veterinary dentistry, the American Animal Hospital Association (AAHA) released an update to the 2013 AAHA Dental Care Guidelines for Dogs and Cats. Created with the goals of decreasing oral pain and improving the quality of life for companion animals, the 2019 AAHA Dental Care Guidelines for Dogs and Cats help veterinary practitioners expand upon their current client education efforts, so pet owners can better understand that periodontal disease can be prevented through regular dental examinations and proper home care, and that, if left untreated, periodontal disease can lead to chronic pain and suffering. The guidelines also help the veterinary healthcare team effectively address the fear of anesthesia — the most commonly cited reason pet owners forego proper dental procedures — and convey the risks associated with nonanesthetic dentistry to clients. In addition to client education guidance and resources, the new guidelines provide detailed images and resources that carefully explain and support high-quality dental care, enabling the veterinary team to be confident in their dental treatment recommendations. They also revisit anesthetic and analgesic strategies so practitioners can administer sedation for select purposes and local and general anesthesia as safely as possible; provide essential steps before, during, and after dental procedures; provide information about the science behind Veterinary Oral Health Council (VOHC)-approved dental care products; and more. AAHA guidelines review the latest information to help veterinary teams address central issues and perform essential tasks to improve the health of their patients. The 2019 AAHA Dental Care Guidelines for Dogs and Cats are supported by generous educational grants from Boehringer Ingelheim Animal Health USA Inc., Hill’s ® Pet Nutrition Inc., and Midmark. They are available in the March/April issue of the Journal of the American Animal Hospital Association (JAAHA) or online at aaha.org/dentistry. The American Animal Hospital Association is the only organization that accredits companion animal practices throughout the United States and Canada according to high standards of veterinary care. AAHA-accredited hospitals are recognized among the finest in the industry and are consistently at the forefront of advanced veterinary medicine. Pet owners look for AAHA-accredited hospitals because they value their pet’s health and trust the consistent, expert care provided by the entire healthcare team.